This is a PSA announcement, if you haven’t tried Flywheel yet, you’re missing out. Flywheel, cycling, is such an intense workout and yes, you may say some phrases that you might regret saying or didn’t know were in your vocabulary, but after a class, you’ll feel amazing. 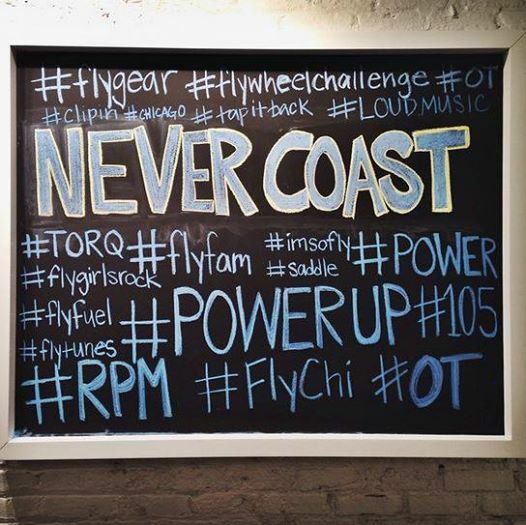 Although, I like running and attempting yoga, I like how Flywheel really challenges you. The instructors are also very engaging and really make you push yourself to limits you didn’t think were possible. Also, the infamous torq board makes you want to achieve your goal speed. Plus, I love how Flywheel is indoors, especially now that it’s getting super cold. If you’re in Chicago, there are two locations in the Gold Coast and in Old Town. They also have other locations across the nation and even in Dubai! Signing up is easy on their website and if you would like to try it out first, enter the giveaway below. Photos and passes courtesy of Flywheel and Zapwater. As usual, all opinions are my own.